United Dental Group (New York) - Book Appointment Online! Confidence in your smile can affect how you feel about yourself personally, socially and professionally. 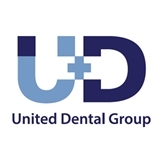 At United Dental Group, we are always at the forefront of dental research and use the latest methods and technology to help our patients achieve their desired smiles. In addition to our general and pediatric dentistry services, we also offer a wide array of cosmetic dental procedures such as Invisalign, veneers and teeth whitening. We're committed to providing affordable quality dental care to the insured and uninsured in a friendly atmosphere. So whether you want to come in for a cleaning and consultation or receive a complete smile makeover, we can help. Fantastic visit and cleaning. Great and knowledgeable staff. Took care of everything I needed the same day!!!!! So convenient! This was a painless appointment at the dentist. Reasonable prices and quick and quality service. Dr. Cat was wonderful! Before my procedure she took time to explain exactly what she was going to do and answer any questions that I had. She definitely put me at ease. I also enjoyed speaking with her staff. The entire office was very friendly and accommodating. I would definitely recommend Dr. Cat to anyone looking for a dentist in the Downtown DC area! Very good and professional as expected and tells you exactly how and what it is... that's why I'm back as a former patient. For the first time I can say that I found a doctor who was amazing. . Excellent personality, took his time performing his work, and asked me if I was ok a few times. Didnt make me feel like a number.. I highly recommend him as my primary Doctor. Dr. Charles Julian Isaacs, DDS. and staff keep up the good work. I Can not wait to return for more services. You guys Rock!! !